I’m a cherry-hater too. I HAD to add them to my Whiskey Sour Cake because it’s not a whiskey sour without cherries. I liked them in that but can’t get into them anywhere else. Cherry Cordial Candies? NO NO NO. But maybe your oatmeal (and my cake) will make a believer out of me. 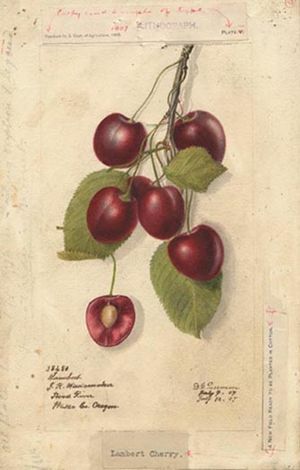 The tart cherries taste more like sassy dried cranberries than cherries–I think they would be great in oatmeal cookies, too. Or cake. Hmmmmm. But chocolate and cherries? Never. Ever.